AFI is touring in support of AFI (The Blood Album)(Concord), which hit No. 1 on Billboard’s Alternative and Hard Rock Albums Charts and No. 5 on The Billboard 200. 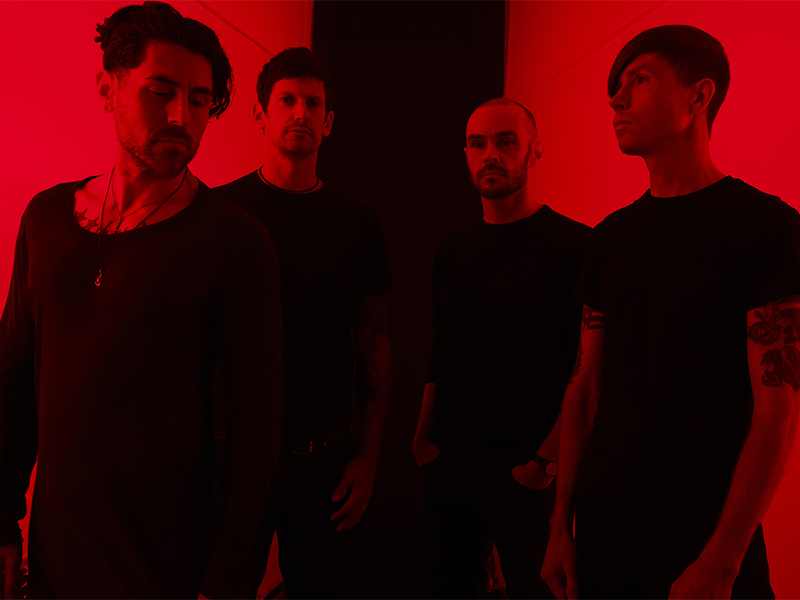 The band revealed the album in stages: Stereogum premiered “Get Hurt” (which was also spotlighted on “Best of the Week with Zane Lowe” on Beats 1), Pitchfork debuted the “Snow Cats” video, Rolling Stone launched “White Offerings” and NME introduced “Aurelia.” In between, AFI performed at KROQ’s Almost Acoustic Christmas show, where they delivered what Billboard called “arguably the strongest set of the night.” They tore through “Snow Cats” on Jimmy Kimmel Live!, kicked off their headlining tour of North America with a sold-out show at the Troubadour in West Hollywood, then wrapped it with two sold-out nights at The Wiltern in Los Angeles. Alternative Press and Q gave AFI (The Blood Album) 4 stars each, AV Club said it sounded like the band are “as fired up now as they were 25 years ago,” People magazine made it a Pick of the Week, Kerrang called it a “serious contender” for the Best Albums of 2017 list, The 405 praised it as “their strongest album in a decade” and ABC News gave it 3.5 stars and described it as “a dynamic record that should please both old and new fans of the band.”AFI (The Blood Album) is the follow-up to 2013’s Burials, which hit Top 10 on The Billboard 200. Since the release of 1995’s debut album Answer That and Stay Fashionable, AFI has written and recorded five top ten hit singles, hit No. 1 on The Billboard 200 (with the stunning Decemberunderground), garnered worldwide critical acclaim and amassed a fiercely loyal global following whose members number in the millions.